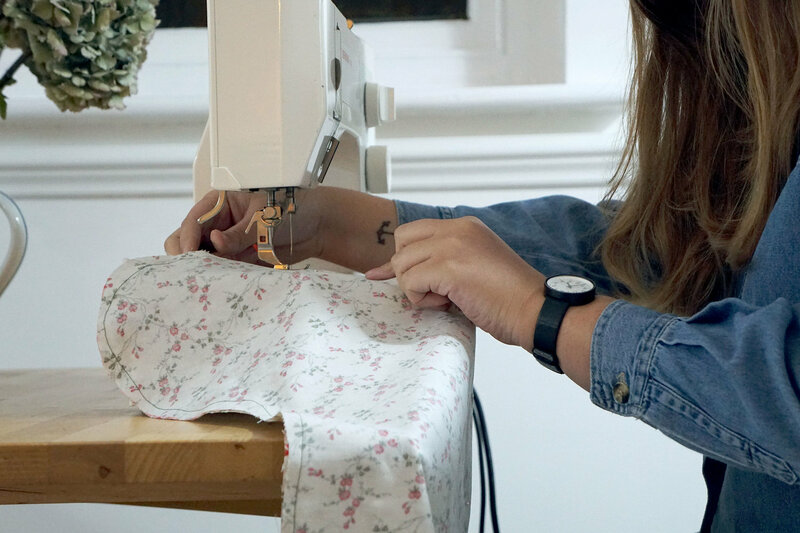 Laura Tricker is a textile designer based in Deal, she works freelance making patterns which have been used by fashion brands like Boden, Nike and Calvin Klein. 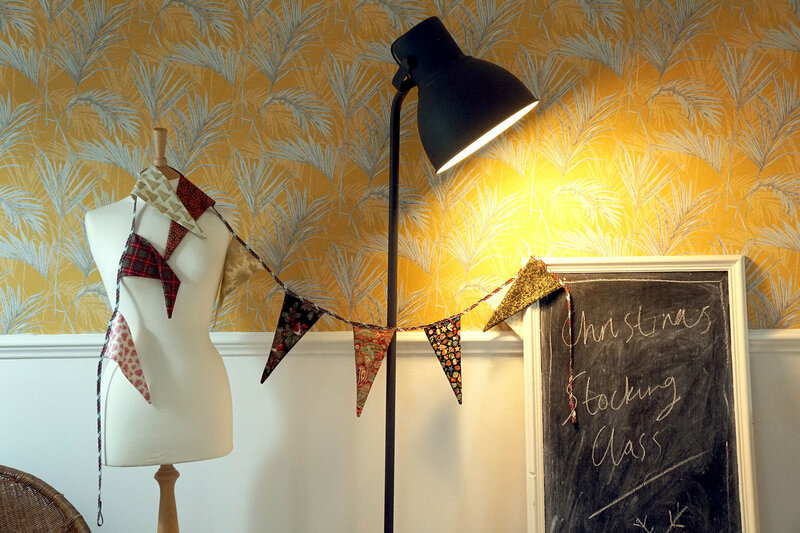 This year, Laura decided to start offering craft workshops from her home at Tormore School House. We went along to a class to make some monogrammed Christmas stockings. When we arrived we went downstairs to Laura’s workshop. Everything was laid out, ready and waiting for us. 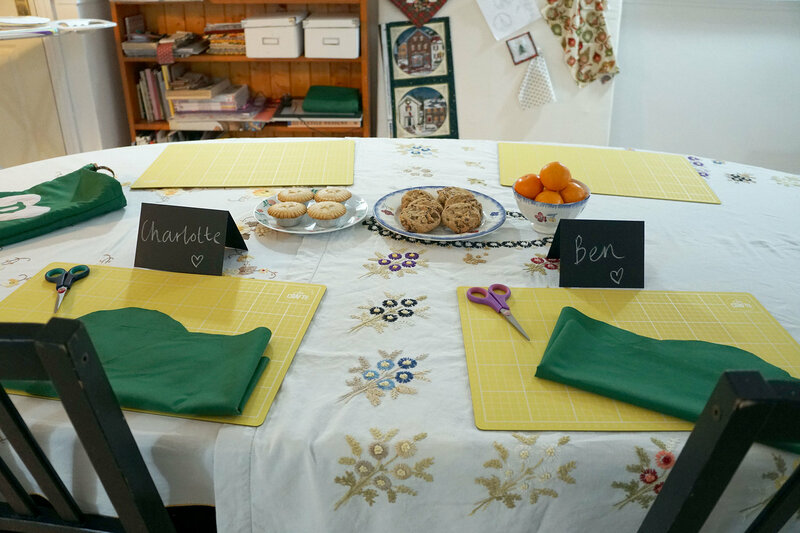 The tools and fabrics, place cards with our names on, even mince pies and cookies. On the walls were Laura’s floral patterns, previous projects like Christmas bunting and embroidery. As we settled in, we chose which fabric we’d use to line the inside of our stocking and the heart shape that would go on the front. We chose to make each others stocking, monogrammed with the initial of our first names. Laura showed us how to make a blanket stitch which we used to secure the initial and the heart onto the stocking. This also gave it a nice finished look. Next, we machined the lining and stocking together. Something that was really satisfying after hand stitching for the first half of the class. 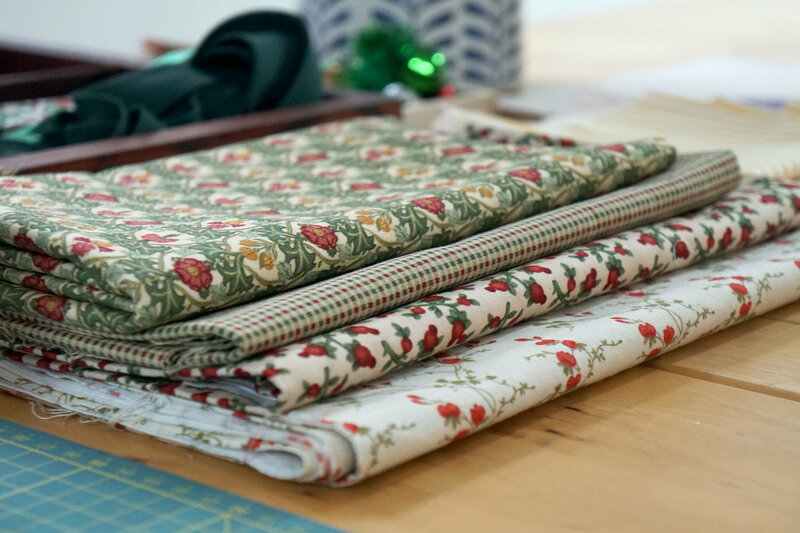 At first, we were a little nervous about embarrassing ourselves or ruining the stockings, but Laura guided us through the whole process and was there to thread our needles and show us how to work the sewing machines. After a while, we got into a rhythm and it became quite relaxing, sipping on mulled wine as we went. Everything came together really quickly at the end. The wadding, lining and outside of the stocking was put in place by a miraculous inside out trick. We’re still not sure how it even worked, we’re putting it down to Christmas magic. And hey presto, we had our stockings! We even made a little loop so the stockings can be hung up. The stockings turned out so well, we were amazed. When we took them home we couldn't stop showing everyone and looking at them. We even hung them up before the tree or any decorations went up. We made a few mistakes but the process is very forgiving and they only really ended up adding charm and a lovely handmade feel to them. It was such a fun afternoon crafting and chatting, we hardly noticed it had gone dark outside by the time we were done. This was our first Christmassy event and for us there’s no greater way to celebrate Christmas than eating mince pies, drinking mulled wine and making amazing decorations! We’re not sure what Laura is planning for next year but this sort of thing makes for great traditions. We love handmade christmas decorations because of the memories you have of making them. Definitely a memorable experience we’ll think about each time the stockings come out in December. These are super high quality and make great presents, either made by you or as a gift to go to the class. 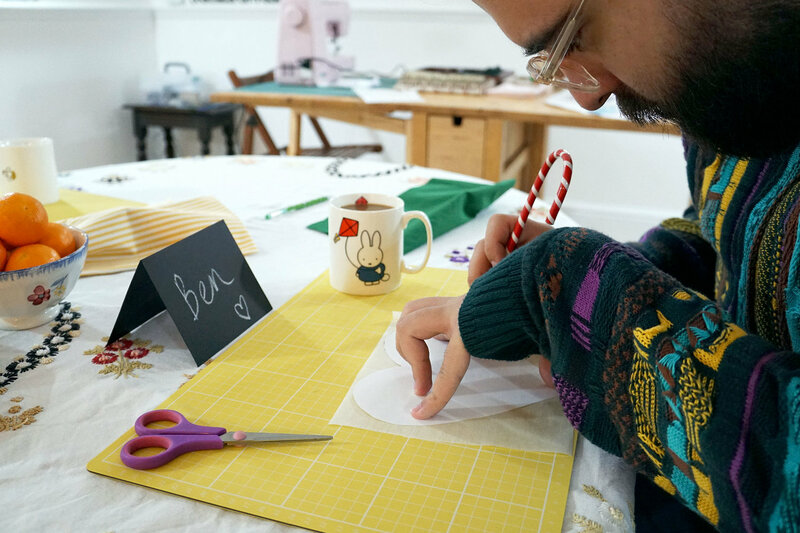 We can’t recommend joining Laura for her Christmas classes enough, quite a few have sold out already so if you want to get in check it out here. Although it may be bit late for some of the Christmas classes, Laura will have more classes in the new year so be sure to keep an eye out!